The Second Vatican Council has called for the development of Catholic University facilities, especially in the sphere of philosophy and theology, in order to show the harmony of Christian teaching with true human culture and scientific development, and to provide all priests, religious and laity with the fullest opportunity of Christian formation. The Irish bishops at their June meeting have had under consideration how this development could be secured in this country, and propose to develop Maynooth as an open centre of higher studies, and to extend its facilities and courses so as to meet the requirements, not merely of priests, diocesan and regular, but also of brothers, nuns and laity. The following press release concerning the implementation of Sacrosanctum Concilium was issued by the Irish hierarchy from the Irish College in Rome on the 8th November, 1964. The Irish hierarchy is happy to announce that the Holy See has approved, by a decree of 4th November, 1964, the decisions made by the bishops regarding the introduction of the vernacular, Irish and English, into certain parts of the Mass. In accordance with the wishes of the Holy See the changes will be introduced in several stages in order to achieve as smooth a transition as possible in the ceremonies of this central act of Catholic worship. The bishops are taking immediate steps to have printed texts of the approved translations available for priests and people, so as to permit the introduction of the first stage, where feasible, on the first Sunday of Lent 1965, when the important changes in the ceremonies of the Mass recently announced by the Holy See will come into effect. Beloved Son and Venerable Brothers, Health and Apostolic Benediction. Holy Church, founded by Christ Jesus to free mankind from death, shines throughout the world by her sanctity, is nourished by grace, lives by truth and, in the words of Saint Irenaeus, “as the sun, God’s creature, is one and the same in the whole world, so the light, which the preaching of truth is, shines forth in every place and enlightens all men” (Adv. Haer. 1, 10, 2; MG f. 552). This preaching of truth, Beloved Son and Venerable Brothers, is a special glory of your country — for through the centuries its distinguishing mark has always been: “peregrinari pro Christo”. Irish priests and religious, as is well known, from the coming of the Gospel message to their land, spurred on by the splendid example of Saint Patrick, your illustrious Father and Apostle, went forth and made their way through many European lands to bring them the flame of faith and an unconquerable zeal in winning souls for Christ. 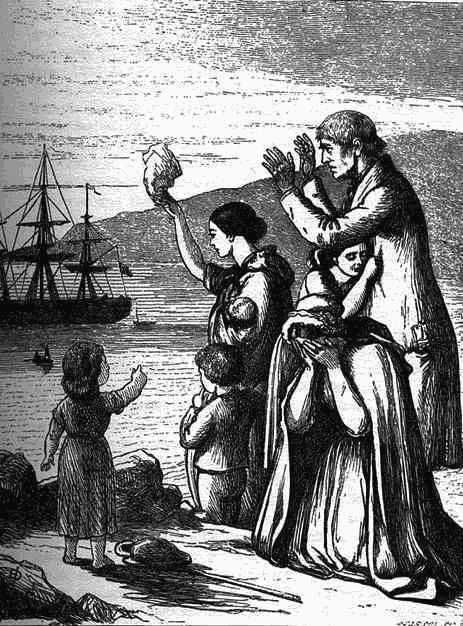 The genius of your nation has won for the Church in Ireland imperishable renown and admiration among the many peoples who owe their Christian origin and development to the burning love of Irish Apostles and to their active priestly ministry. These Catholic people in themselves are a manifest and an eloquent testimony to Catholic Ireland’s missionary character; they show it forth to the whole world and add splendour to its titles to glory. The archbishops and bishops of Ireland at their October meeting in Maynooth in 1953, under the presidency of the Cardinal Primate of All-Ireland, John D’Alton, issued the following statement concerning the persecution of the Catholic Church in Poland. Ever since the end of the war a bitter persecution of the Catholic Church has been carried on in Communist-dominated countries. Whilst it has brought grievous suffering on the laity, it has been directed primarily against bishops and priests. The enemies of God and His Church, now as in the past, recognise that its rulers and pastors are the great bulwark of Christianity and confidently expect that if they are destroyed, Christianity itself will soon perish. The following statement was issued by the Irish Hierarchy and read out from the pulpit at all public Masses on Sunday, October 29th, 1950. The announcement that our Holy Father Pope Pius XII would solemnly proclaim and define the doctrine of the Assumption of Our Blessed Lady gave great joy to the hearts of the Irish people. In common with the faithful throughout the world they have for centuries held firmly to the belief that the virginal body of Mary, Mother of God conceived without sin, was not allowed to suffer corruption but was taken up into heaven and throned above the angels. The doctrine of the Assumption is not new; it has been enshrined in the liturgy, the art and the teaching of the Church for long centuries. From the time when the Council of Ephesus defined that Mary is the Mother of God the devotion and belief of the Church unfolded the full meaning of the privileges of the Immaculate Virgin Mother and of the complete victory over sin and death won for her by her Divine Son. So it is that this doctrine has been firmly held even by the schismatic churches of the East. The fact of Mary’s Assumption into heaven, like her Immaculate Conception, is a supernatural fact that can be guaranteed to us not by human testimony but by divine revelation.